According to the United States Office of the Inspector General, $21 Trillion in taxpayer money is unaccounted for. As unbelievable and absurd as that sounds, the actual total of unaccounted for taxpayer money at the Pentagon is most likely significantly more than $21 trillion. 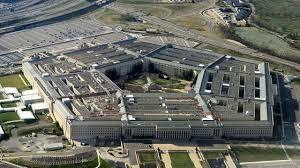 Researchers are unable to get data for every year of military spending, many Pentagon agencies do not have any publically available records, hundreds of thousands of transactions have been erased, and an estimated millions of transactions do not have any traceable record. In fact, the Pentagon, which handles more than half of all of our tax dollars allocated by Congress, has never been properly audited – despite the fact that an annual audit has been required by law for all federal government agencies since 1996.